When I first opened the box for the new Blitzwolf BW-AS1 wireless speaker, I was amazed at the detailed packaging of the product as well as the quality of the aluminum that the speaker was made out of. Setting up and using the speaker was really straightforward and easy to accomplish. There seemed to be a strong bluetooth signal that allowed for a hassle-free setup, which sometimes isn’t always the case with other wireless speaker brands. The product’s aluminum design mimics anything that has been recently created by Apple products and is a bold step in the right direction from traditional plastic wireless speakers. If you are looking for a wireless speaker that will look nice on your desk or your contemporary kitchen counter, then i recommend you take a look at the BW-AS1 by Blitzwolf. The design of the speaker is what really draws you into using the product. With a anodized aluminum oxide shell around the perimeter of the speaker, you can really feel the strong, smooth and most important scratch resistant design. There are the traditional rows of buttons on the top that include the Power ON/OFF button, as well as the Volume ON/Off buttons. The speakers are crafted to make you feel like you own an Apple product. I have the speaker right next to my desk and it looks very clean with my Apple Desktop and Yeti Aluminum microphone. I found that when I was in tune working on website design at my desk, that the Volume 2 was the perfect sound level for me. the mid and high ranges came in crystal clear as well. 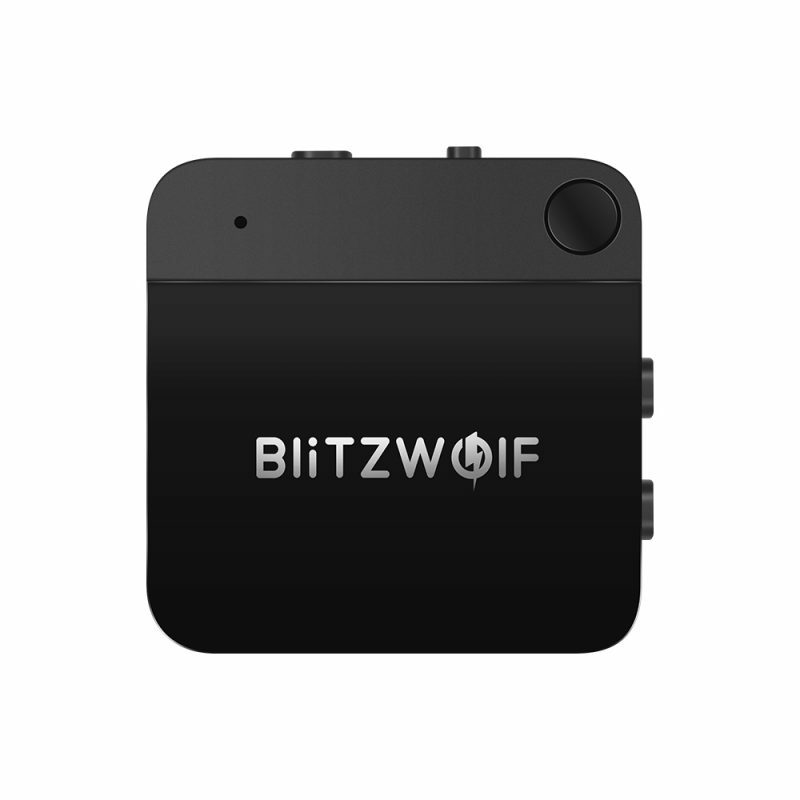 With the Blitzwolf BW-AS1, your an tether the device with bluetooth or connect via a cable that is aa 3.5MM aux compatible. The outside of the speaker is made with Aluminum Alloy. We did a few tests and the transmission distance was around 10M long. Not bad for a speaker the size of a small football. The speaker is built with Bluetooth V4.0, which is more then enough for most bluetooth connections. I really like how the dual 10W drivers deliver up to 20 W of high quality sound. To charge the speaker, there is a micro-USB input that allows you to connect to any power socket. The battery lasted a long time before our first charge. You can use the speakers from 9-11 hours of continuous play. The battery capacity is set at 2600mAh* 2, 3.7V. A cool feature that I found is that the music will pause when there is a incoming call over the network. This allows you to be able to answer all the phone calls that are coming in. You an also reject the call with the speaker controls on the top. We found this to be a very neat feature on the BW-AS1 model. The speaker also is a great small-medium size that allows you to fit it into a larger purse for easy traveling. We would recommend taking this speaker to the beach or a backyard party. The dual passive bass can get really deep and low and at times can rattle the ground. Pairing the bluetooth was an easy process. Overall, we recommend this mid-level price range speaker for our audience. The Blitzwolf BW-AS1 wireless speaker is a must buy if you are looking for a wireless speaker around the $50.00 dollar mark. With all the bells and whistles of other high-end brands, Blitzwolf came through on their newest wireless speaker product.